A new sorority may be coming to the University if a group of roughly 30 women are successful in their efforts to recharter Delta Phi Epsilon, which closed its Cornell chapter in 2003. Composed mostly of transfer students and women who rushed sororities but were not matched with a house, the group has already begun planning social events, meeting with Greek Life and organizing philanthropic drives. Molly McMahon ’12, who was a member of Delta Phi Epsilon at Monmouth University, before she transferred to Cornell this semester, is heading the movement and is the only woman in the group previously affiliated with Delta Phi Epsilon. “At Monmouth, it was a really wonderful experience for me, and I just want to bring that here and extend that to other girls,” McMahon said. She chose not to rush this semester because she felt joining a house right after transferring would be overwhelming, especially since many women participating in formal recruitment already knew each other. Since rush week, McMahon has talked with other students interested in founding a new sorority. The group has held social events, including mixers with fraternities, and participated in fundraising efforts like the benefit concert, Hands for Haiti. However, founding a new sorority chapter –– formally known as “chapter extension” –– is a lengthy procedure over which McMahon and the group have little control. “The Panhellenic Council must begin this process with an extension exploration committee to assess the needs of the female students at Cornell and the current health of the Panhellenic community,” Laura Sanders, assistant dean of fraternity and sorority affairs, explained in an email. If the committee finds a need for another sorority, Cornell’s 11 current chapters would vote on its potential viability, after first consulting their respective national headquarters. The National Panhellenic Council requires at least a three-week period between the announcement of the vote and the actual balloting. If the chapters vote in favor of extension, Cornell’s Panhel contacts sororities not represented on campus to assess their interest in installing a chapter, Sanders said. Of the 26 organizations that are part of the NPC, those interested in extension then come to Cornell for an interview. McMahon said she recently talked to officials from Delta Phi Epsilon who were “very supportive” and offered guidance about the extension process. With only 45,000 members internationally, Delta Phi Epsilon is looking to grow, McMahon said. 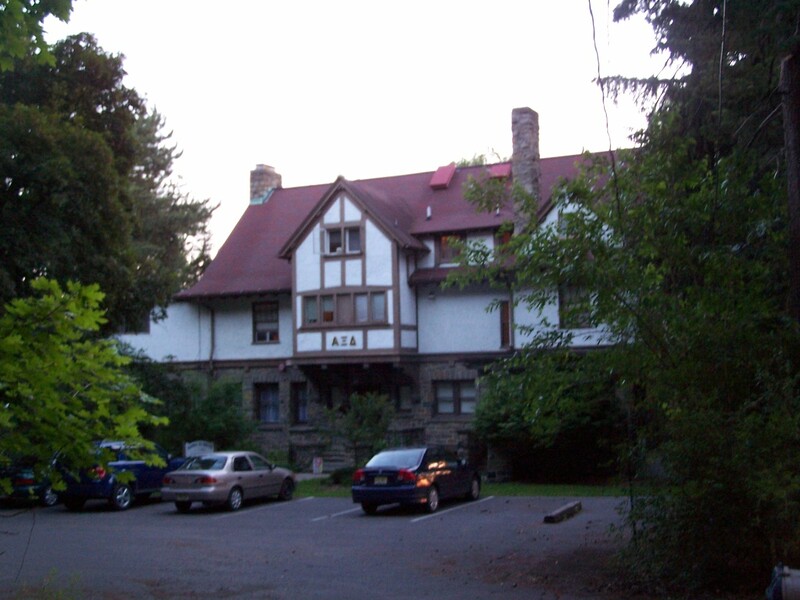 The sorority already owns a house on The Knoll, where it was initially chartered at Cornell in 1962. Although an exploratory committee, formed by Panhel last spring to determine if there was room for a new sorority, supported the extension, the national organizations with local chapters at Cornell blocked attempts at chartering a new house. “The overwhelming response was that they felt Cornell was not yet ready for another sorority,” Sanders said. Many of the national organizations said that Cornell’s current chapters have not fully used informal recruitment, a period outside formal rush when houses with vacancies can extend bids to women who have attended Cornell for at least one semester. Sororities are usually eligible for this type of recruitment when members graduate early, or when they pledge as sophomores or juniors and consequently graduate before the rest of their pledge class. The houses can offer bids whenever they like during the process. In the last two semesters, four houses at Cornell qualified for informal recruitment each period, but not all participated or filled their vacancies, said outgoing Panhel President Alison Ewing ’10. Panhel plans to form another extension committee this semester, Ewing said. Last year, officers from the national organizations with sororities on campus also feared that a new chapter would use informal recruitment more heavily than existing chapters. This could create a stigma and hurt existing houses that do not participate in informal recruitment. But Ewing said this does not mean that an attempt to recharter Delta Phi Epsilon will automatically fail. Although Panhel voted to recharter Alpha Xi Delta in 2004, McMahon feels there is definitely room for a new house. So, this was no surprise. If they were here for 41 years, and they still own a house here, I’m sure their national would be most receptive to a recolonization at Cornell. Thing is, it’s not so easy because this isn’t following standard procedure. So these ladies are in for a lot of red tape and work on their parts.